This type of survey is used when the client specifically knows where the sample or samples need to be taken; this is not a full survey. This type of survey is limited to the specific areas given by the client.The samples are gathered and sent off to a UKAS Accredited Laboratory for analysing, once these have been received and analysed the results and certificate are sent to the client telling them whether it does or does not contain asbestos and what type of asbestos containing material it is. 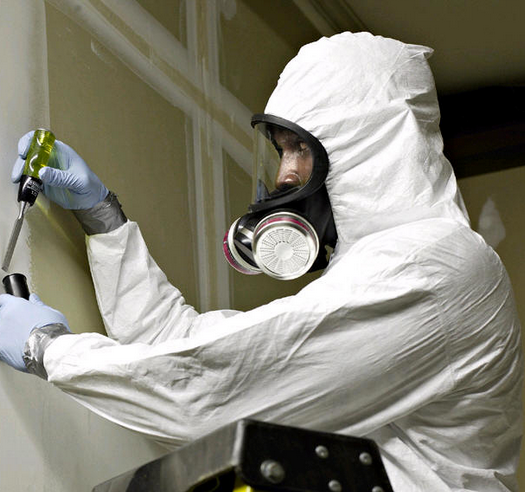 Asbestos Sampling is often used when a Asbestos Surveyor has highlighted areas/materials that could contain asbestos within their homebuyers report. Trades people also use this type of survey when they are specifically working in a particular area of a building and they come across a material that could contain asbestos. There are many other reasons why this type of survey could be adopted but we would advice you speak to one of our friendly team and they will be happy to advice you on what type of asbestos survey is the best for you. From our site asbestos survey the results are available within 24 hours preventing a hold up on purchasing a house or stopping work onsite.